FUTURE: An artist's impression of the remodelled Margaret St.
WHAT do you remember about 174 Margaret St? 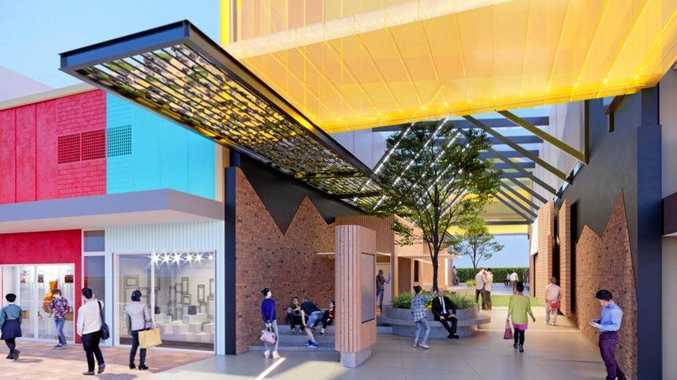 As the Toowoomba Regional Council looks to re-imagine the site as "an attractive, safe, open space for city workers and the public to enjoy" it is also keen to acknowledge the past. The council is asking residents, and seniors in particular, what they remember about the businesses that once occupied the site. Feedback on the draft concept plan has recently been collated and strategic planning and economic development portfolio leader Cr Anne Glasheen said it had been well received. "Council received a range of positive comments regarding plans to construct the lane that will link Margaret St to Jessie and Annand Sts and provide a convenient pedestrian thoroughfare between the CBD and longer-term carparking and other retailers," Cr Glasheen said. Part of council's CBD Laneway Strategy aimed at making distinctive connections between different parts of the city - as Melbourne has done so successfully - the proposal comprises green space, visitor information, public amenities and weather protection. "Historical details could be expressed through integrated art or signage," Cr Glasheen said. Historic files show the building was owned by the late C W Hamilton from 1930-34. From 1934-37 it appeared on the same rate card as a shop occupied by Archibald Bishop. Rate records show the building was owned by The United Insurance Co Ltd from 1956-66 and by The South British Insurance Co Ltd in the mid to late 1970s, and was tenanted by GE Finance for more than 20 years. Cr Glasheen said the stories and images of its history could give the new laneway its own unique identity. That's certainly something local businesses are eager to see happen sooner rather than later. They are crying out for the CBD to be given a new heart and new events to stimulate business, which is continuing to suffer the effects of the huge Grand Central shopping centre redevelopment. However, Cr Glasheen said while the target was completion by the end of the year, there was no guarantee. 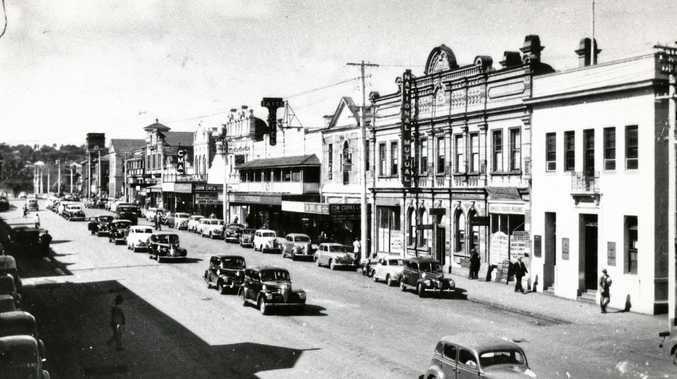 If you have information or photos of any of the businesses of the past, go to info@tr.qld.gov.au or phone 131872. The draft concept plan is part of the wider City Centre Master Plan, and has been developed in consultation with Margaret St businesses, the Chamber of Commerce, City Heart Toowoomba, Queensland Police, Toowoomba Architects Group and the Queensland Urban Design and Place Panel.